Jut married should i buy Life Insurance? Just married, had a nice honeymoon, and now expecting a baby. 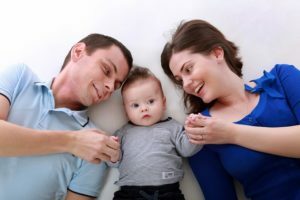 You need to buy life insurance once you have your first baby. It is important to start insuring your life and your spouse’s life to protect your baby, and each other. If you die while still having dependents, being able to claim on a life insurance policy could mean the difference between your loved ones struggling to make ends meet, and them being financially secure. Despite this, many young couples don’t have life insurance in place. It’s not hard to see why so many of us put it off. Most people have enough money worries in our everyday lives without having to think about what will happen in the event of our death. If you don’t consider what your dependants would do without your income, you could end up leaving them high and dry financially, which would likely lead to a very stressful and emotional time. Even if you’re not working, you might be a stay at home parent. The cover could prove to be invaluable, as childcare costs would need to be paid if you’re not around. If your young and fit and healthy. You can lock in the price of your Life Insurance. Premiums for a 30-year-old are a lot cheaper than a 40-year-old. Unlike Health Insurance, where the premium changes every year, the cost of your life assurance will stay the same for the term of the policy. Note: Pricing may change, and this is just an approximate cost, it may vary depending on your circumstances. If you’re young fit, healthy and don’t have any medical ailments, the life insurance companies should provide you with standard rate pricing. It’s important to lock-in a low price when you’re young and healthy. If you don’t set up when you’re healthy, and do get a medial ailment in the future, you may become un-insurable. Do I go to a broker or to a bank? My suggestion is always to go to a Financial Broker. The banks typically only deal with one Insurance Company. A broker can shop around and review the whole market on your behalf and suggest the most suitable life insurance provider for your needs. A Financial broker can often get better pricing than the banks. If you do prefer to use a bank, I would suggest that you make sure the pricing matches the lowest price in the market. This can often be overlooked. If you go to a broker typically the first year’s premium is paid to the broker as commission. This is known as initial commission. First year commission can vary between 100% and 200% of the premium. In the second-year commission can vary between 3% and 15%. All the Insurance companies have different pricing when it comes to Life Insurance. Certain Life Insurance companies will match the lowest price in the market. There are also a few Insurance companies who won’t match the lowest price. The Life Insurance market has become progressively more competitive over the last few years. A few insurance companies are providing significant discounts off the market price. In Summary it is important to protect your spouse and children financially in the event of your death. Life Insurance can often be overlooked. Begin the process by talking to a trusted financial adviser.